Co-star of the Australian ABC3 series Nowhere Boys who plays Jake Riles. Nowhere Boys was his first professional gig. He got the part when he was 17 years old. He landed a role as the character Doug in the feature film Eden, starring Jessica Lowndes and James Remar. 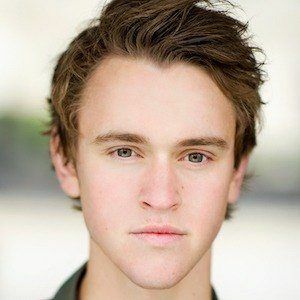 He stars opposite Rahart Adams, Dougie Baldwin, and Joel Lok on Nowhere Boys.